The people at CBS Television Studios announced on November 2nd that a new Star Trek series will be launching in January 2017, and the premiere episode will air on CBS’s television network. The rest of the episodes of the unnamed series will air on CBS All Access, which is the studio’s digital streaming arm. 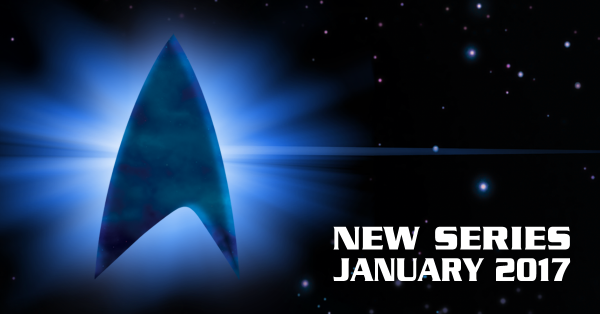 This will be the first new Trek TV series in the last 12 years, after the cancellation of Star Trek: Enterprise. "The brand-new 'Star Trek' will introduce new characters seeking imaginative new worlds and new civilizations, while exploring the dramatic contemporary themes that have been a signature of the franchise since its inception in 1966," CBS representatives wrote in today's announcement. A co-writer and producer on the Star Trek reboot, Alex Kurtzman, and Star Trek Into Darkness, will be serving as executive producer of the new TV series along with Heather Kadin. This new series will be produced by CBS Television Studios in association with Kurtzman’s company Secret Hideout, the announcement states. Star Trek first debuted on television on September 8, 1966, and this is now known as “The Original Series,” while it lasted only three seasons and was cancelled in 1969. The show grew a cult following, when fans successfully convinced NASA to name its first space shuttle “Enterprise” to honor of the fictional Starship Enterprise featured in the show. In total, “Star Trek” spawned five television incarnations and 12 movies, with the next movie to be “Star Trek Beyond” and it hits theaters in 2016. "There is no better time to give Star Trek fans a new series than on the heels of the original show's 50th anniversary celebration," said CBS Television Studios President David Stapf said in the announcement. "Everyone here has great respect for this storied franchise, and we're excited to launch its next television chapter in the creative mind and skilled hands of Alex Kurtzman, someone who knows this world and its audience intimately." The new TV series will not be related to the new movie, despite its release date following it. Star Trek Beyond will be distributed by Paramount Pictures in the next summer. The first running episodes of the new series will be available exclusively on CBS All Access, which is a digital streaming service that costs $5.99 a month. It will be CBS’s first series that has been developed specifically for the digital platform, according to CBS. The platform is actually streaming complete runs of all five Star Trek series’ to date, currently.